SmartLipo is a less-invasive procedure that uses laser technology to remove small areas of unwanted fat from the body. Since it was first introduced in 2006, it has quickly gained favor with patients and physicians alike for its safety level and excellent results. In his latest SlideShare presentation, Dr. Joel Schlessinger addresses your questions and concerns regarding SmartLipo. The recovery time for SmartLipo is much faster than traditional liposuction, says Dr. Joel Schlessinger. During the SmartLipo procedure, a thin laser is inserted into a small incision. The laser is able to target and liquefy fat cells so that they may then be removed using a small, sippy-straw-sized cannula. Because the cannula is so small, it can pass through the skin easily without difficulty. Thus, the recovery time for SmartLipo is significantly decreased. Patients can typically return to work one to two days after receiving a SmartLipo treatment. In fact, we have seen patients who worked the day after the procedure and even had one doctor who flew home (yes, he flew the plane) the day after the procedure! Dr. Schlessinger safely and effectively treats areas on the back, flanks, thighs, hips, knees, chin and neck at his Omaha clinic using SmartLipo technology. Dr. Joel Schlessinger cautions that SmartLipo is not a viable form of weight loss. The SmartLipo procedure is not designed to remove very large areas of fat, nor is it a good way to handle weight loss. Dr. Schlessinger cautions that if you’re hoping to use SmartLipo to lose weight, you won’t. Liposuction and SmartLipo are about size, not weight. While you can elect to have SmartLipo anytime, Dr. Schlessinger recommends waiting until you’ve finished having children before seriously considering the procedure. The best candidates for SmartLipo are those patients who lead an active lifestyle and are within 25 pounds of their goal weight, but who still struggle with stubborn, localized pockets of fat. SmartLipo is also perfect for those who would like to touch up or improve previous traditional liposuction results as SmartLipo has the finesse to improve these areas greatly. Choose Dr. Joel Schlessinger and his team at Skin Specialists P.C. of Omaha for your SmartLipo procedure. The key to a successful SmartLipo treatment and a quick recovery time is choosing a skilled physician with the knowledge and experience necessary to offer the best care. Dr. Schlessinger has remained on the forefront of SmartLipo technology and clinical research. His patient satisfaction has earned him Best Dermatologist and Best Cosmetic Surgeon in Omaha for several years running. At Skin Specialists P.C. of Omaha, you’ll always receive the best care and the latest technology available for all cosmetic procedures. Do you have a question for Dr. Joel Schlessinger about SmartLipo? Let us know in the comments section. No matter how much we diet and exercise, we may still struggle with small pockets of stubborn fat. “Love handles,” “tummy pooch” and “muffin top” can leave us feeling discouraged after our exhaustive efforts. However, with the latest fat-eliminating procedure, CoolSculpting, the results we’re looking for could be more attainable than we think. In his latest SlideShare presentation, Joel Schlessinger, MD answers frequently asked questions about CoolSculpting, the noninvasive, fat-freezing treatment designed to amplify and expedite gym results. CoolSculpting uses patented technology to safely freeze fat cells in the body, says Joel Schlessinger, MD. CoolSculpting is a noninvasive, FDA-approved treatment that uses patented technology to safely freeze fat cells in the body while healthy skin and muscle remain intact. Once the crystallized fat cells die off, they are eliminated gradually over the next 60-90 days through the body’s natural metabolic processes. The procedure involves no incisions and no anesthesia. No fat cells are burned, shattered or extracted. Instead, an applicator is applied directly to the skin’s surface to deliver controlled cooling to targeted fat cells. Recently, ZELTIQ Aesthetics launched the brand new CoolFit applicator designed to treat a wider range of areas on the body. Joel Schlessinger, MD recommends CoolSculpting to those with a busy, active lifestyle. One CoolSculpting treatment lasts for just an hour, and there is virtually no recovery time. It can be done during one’s lunch break, and all activities can immediately resume directly following the procedure. Aside from a little redness or tenderness, there are no side effects. Since CoolSculpting does not eliminate large areas of fat, the ideal candidate is someone who already maintains a healthy diet and regular exercise regimen, but who would like a leg up when it comes to losing the last 10-15 pounds. It’s also a wonderful option for those with little to no downtime for procedures that require an extended recovery period. Do you have a question for Joel Schlessinger, MD about CoolSculpting? Share with us in the comments below. What time of the year is best to get liposuction done? Dr. Joel Schlessinger shares. Liposuction is a surgery that is performed to remove unwanted localized deposits of fat cells from the body. The procedure performed at Skin Specialists, PC is meant to aid in body contouring and removing areas that have had difficulty responding to exercise and diet. This effective and safe procedure can give tremendous results, however it can take some time to heal. We asked Dr. Joel Schlessinger what time of the year is the best to get liposuction done. For best results, Dr. Joel Schlessinger says you should be fully recovered and the garment should be completely off by the time you want to be in water. 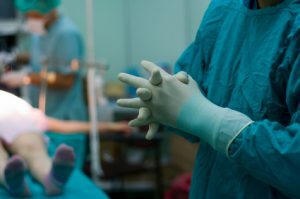 For this reason, it is best to have the procedure performed in the winter or spring when there is little chance that you will be around water. The procedure performed at Skin Specialists, PC is not intended to treat obesity. Learn more information about the difference between a tummy tuck and liposuction here. Now is a great time to schedule your liposuction appointment. To find out more information or set up a consultation, contact Skin Specialists, PC here. 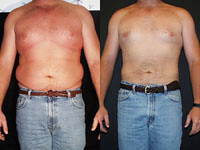 When you hear the word liposuction, you probably think of invasive surgery, long recovery time and permanent scarring. Luckily, there’s an alternative cosmetic procedure to liposuction that can give you great results – and it can be performed at your local cosmetic surgery office! Joel Schlessinger shares his thoughts about this innovative and effective procedure. SmartLipo uses the most innovative advances in laser and cosmetic surgery to provide a quick, safe and cost-effective form of liposuction. This quick procedure works on small areas of fat that can be easily liquefied and removed. This effective procedure is commonly used on areas that are troublesome for traditional methods of liposuction. Areas include the back, bra strap area, thighs, hips, knees, upper arms, chin, neck, breasts and other areas of loose or flabby skin. “Generally speaking, the majority of heavy lifting is done by tumescent liposuction, but the SmartLipo results in significant increases in fat reduction as well as increased tightening after the procedure,” said Joel Schlessinger. Visit our website to see if SmartLipo is the right choice for you. What’s the difference between a tummy tuck and liposuction? Dr. Joel Schlessinger shares. Many people believe the only way to achieve a smaller, flatter stomach from surgery is with a tummy tuck. However, this isn’t the case. Dr. Joel Schlessinger offers an alternative to this invasive surgery with liposuction. Read more to discover the difference between a tummy tuck and tumescent liposuction. A tummy tuck, or abdominoplasty, is a surgery that removes excess skin and fat from the middle and lower abdomen. It is often performed on patients that have sagging skin following pregnancy or major weight loss. Tumescent liposuction is an alternative to a tummy tuck. This form of liposuction removes unwanted localized deposits of fat to help contour the body. Why should you choose tumescent liposuction over a tummy tuck? Dr. Joel Schlessinger says tumescent liposuction can give more effective results with only a day of down time compared to a tummy tuck that can leave someone out for up to 12 weeks. “While tummy tuck is a cute name, it leaves individuals with lifelong scars from one side to another, along with an artificial and somewhat odd appearing belly button,” said Dr. Joel Schlessinger. Dr. Joel Schlessinger performs tumescent liposuction regularly in his clinic. He also offers SmartLipo procedures, a laser surgery form of liposuction. To learn more about SmartLipo, click here. Make a consultation today with Dr. Joel Schlessinger and find out of tumescent liposuction is right for you. Can tumescent liposuction help prevent skin cancer? A recent study shows promising results. A recent study published in the Proceedings of the Natural Academy of Sciences found that removing abdominal fat in mice helped prevent skin cancer and slow the development of tumors caused by ultraviolet radiation. The results showed that mice that were fed a high-fat diet had reduced tumor numbers and volume of tumors by 75% when the mice were exposed to high-energy ultraviolet light. Although this study was performed on animals, it is a promising treatment to prevent skin cancer in humans. Dr. Joel Schlessinger says that although he has never observed lower incidences of skin cancer in patients who have undergone SmartLipo or tumescent liposuction, he finds this study to be highly interesting. “Rarely do we see the benefits of SmartLipo or tumescent liposuction for anything other than overall psychological well-being, but this shows that fat removal and, of course, keeping fat from appearing can be beneficial,” he says. At this point in time, no trials have been performed on humans. The results are not conclusive to prevent skin cancer among human beings at this time. Dr. Joel Schlessinger recommends eating healthy and exercising regularly to keep at an ideal weight to avoid health problems. Not only may this help prevent skin cancer, but it can also keep you looking and feeling great. Dr. Joel Schlessinger offers both tumescent liposuction and SmartLipo procedures at his clinic in Omaha, Nebraska. To find out more about these procedures or set up a consultation, contact us by email or call us at 402-334-7546.